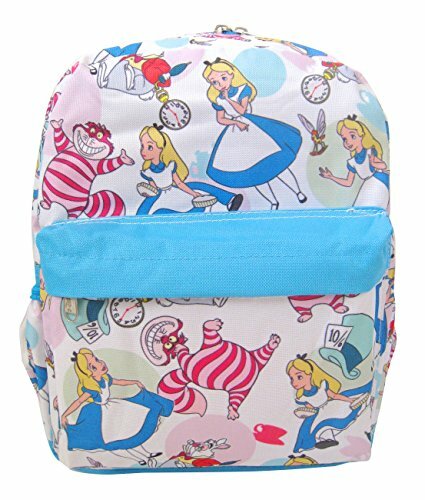 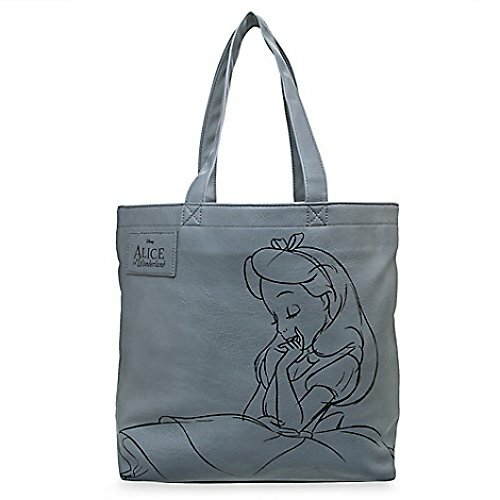 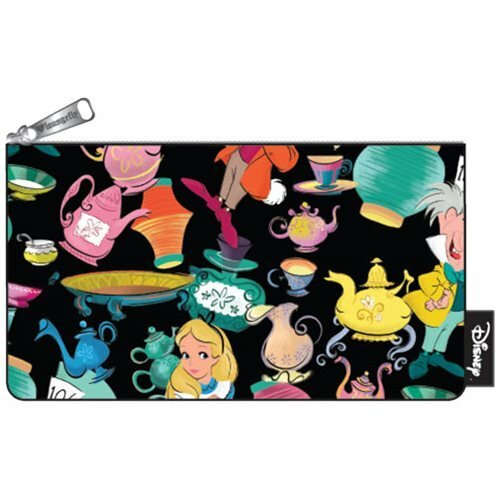 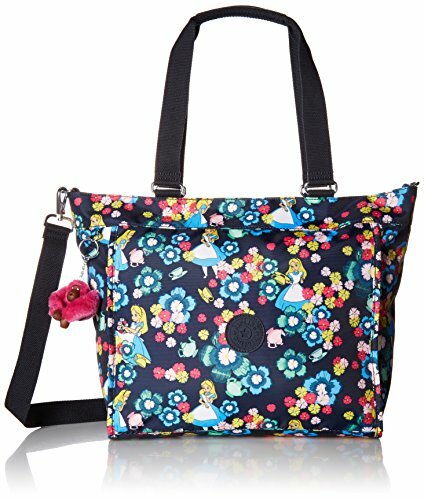 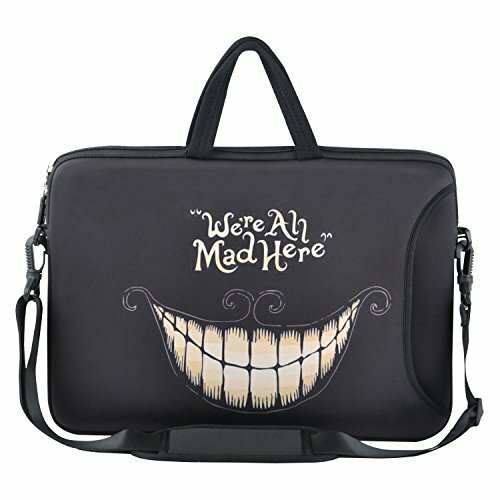 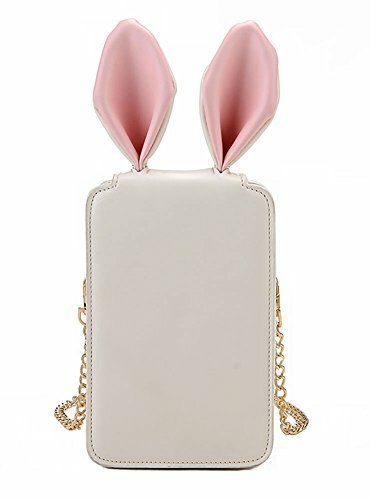 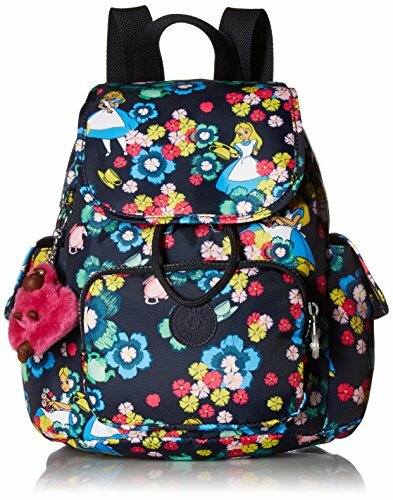 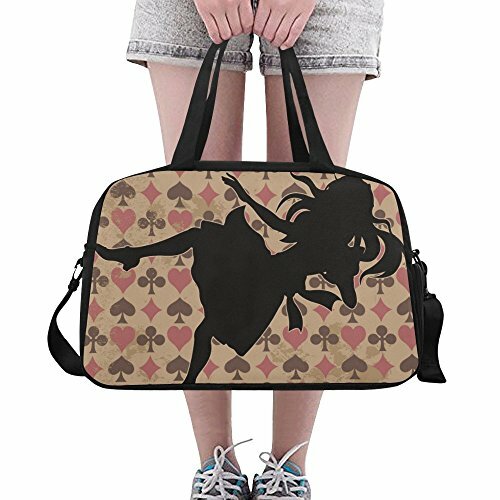 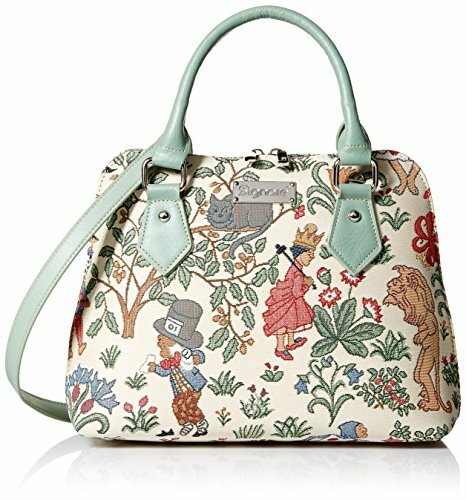 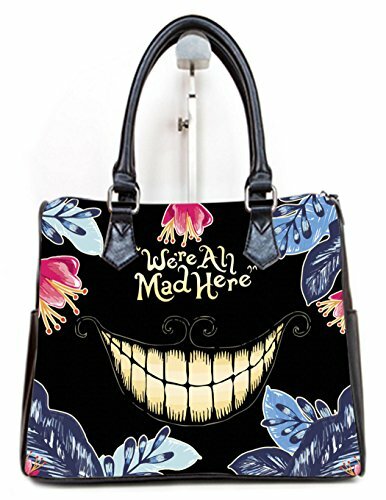 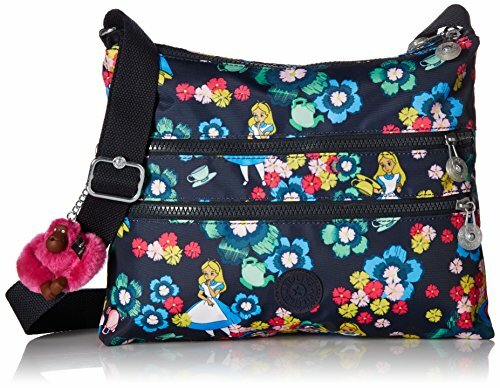 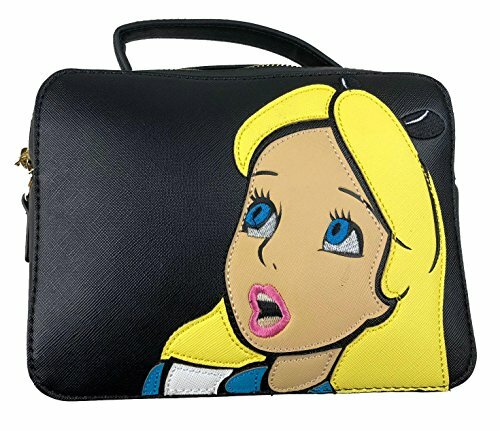 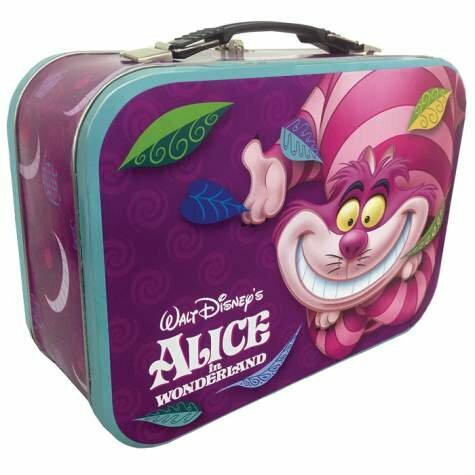 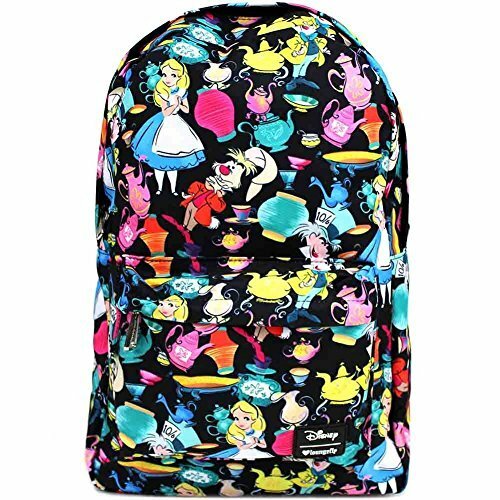 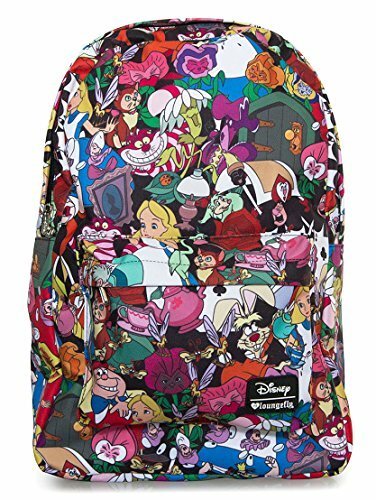 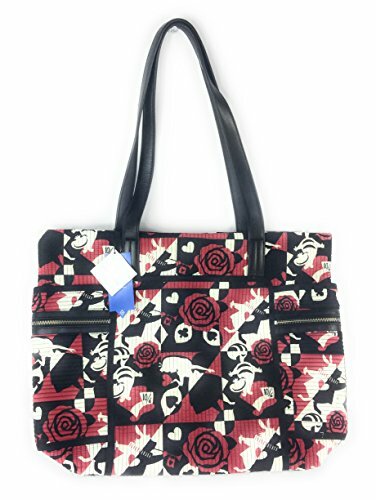 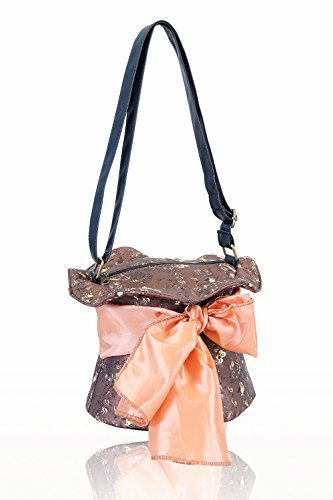 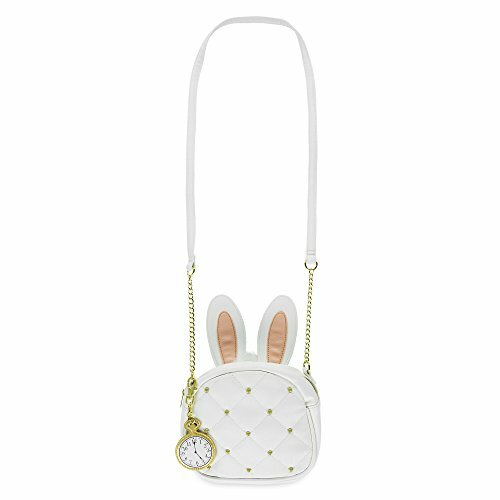 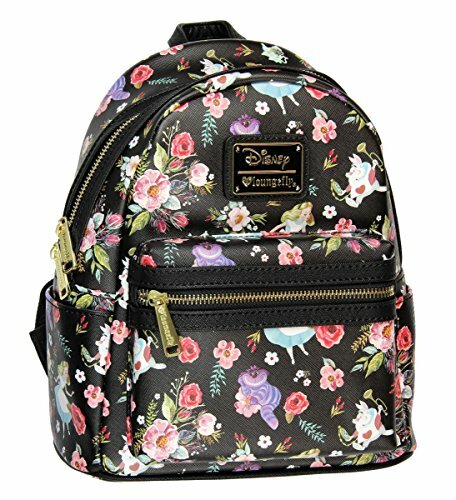 This page contains Alice in Wonderland bags, handbags, purses and wallets. 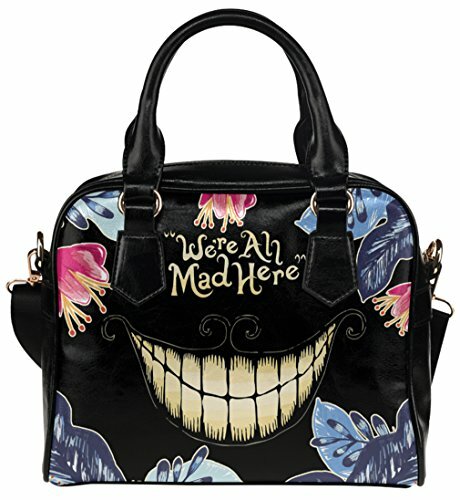 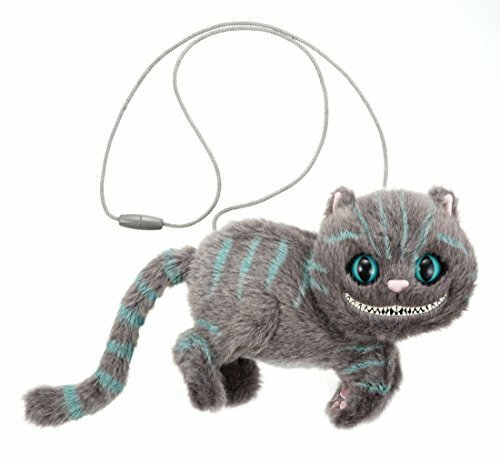 A great way to carry Alice or the Cheshire Cat with you, wherever you go! 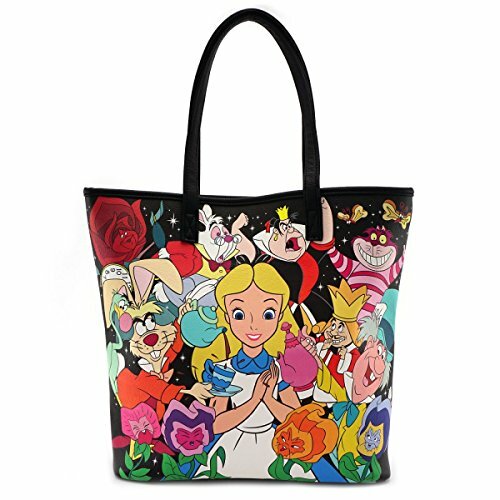 Faux leather tote bag with Alice in Wonderland design and removable coin pouch. 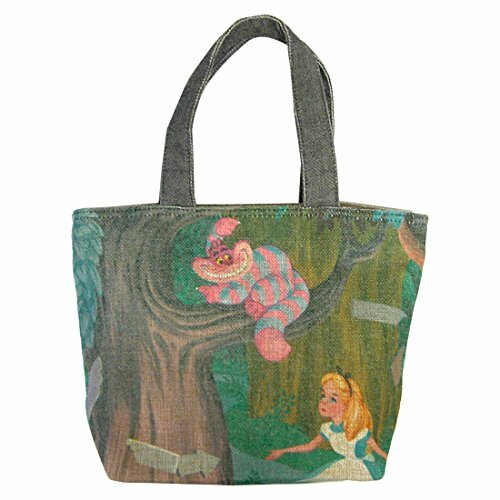 Cotton bag with Alice in Wonderland print and inside pocket. 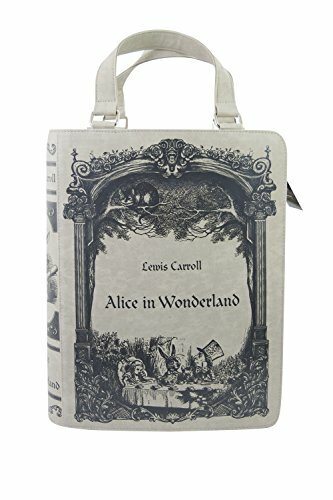 Grey faux leather bag with old texture, that looks like an Alice in Wonderland book! 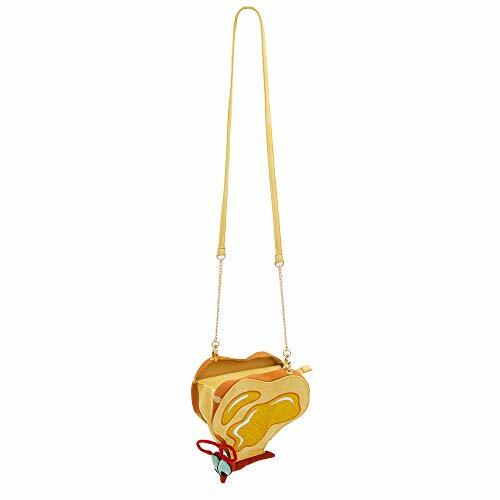 Handbag that looks like a heart shaped cookie. 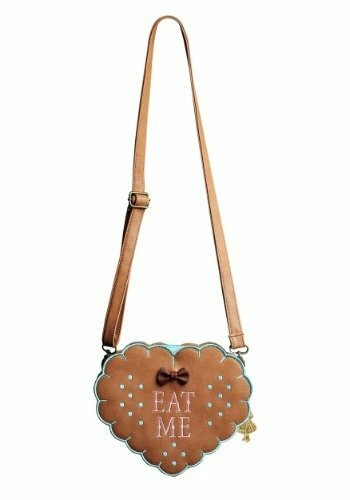 It has the words ‘eat me’ on it, and also includes an Alice shaped charm and an Alice in Wonderland emblem. 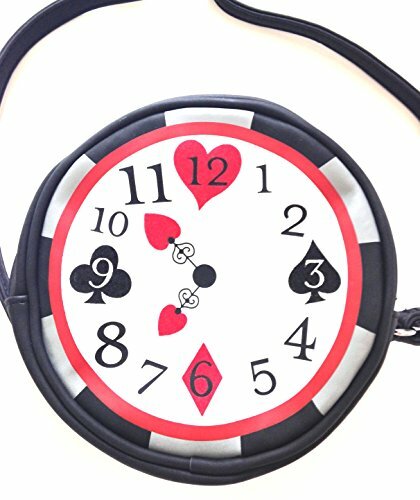 Purse in the shape of a clock, with a checkerboard rim and a card suit print on the dial. 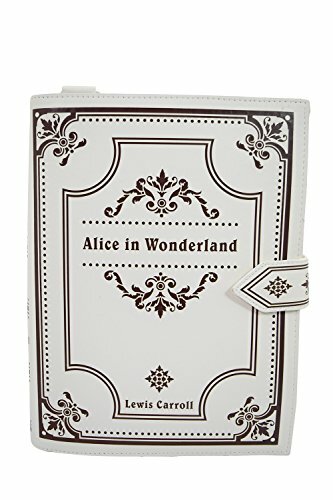 The backside is black and shows Alice and the White Rabbit pointing at his pocket watch. 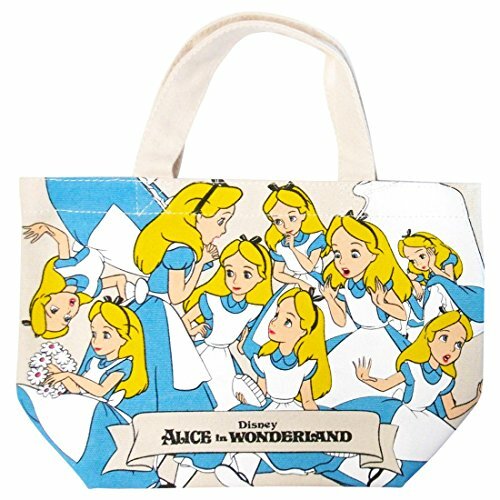 Natural canvas tote bag with White Rabbit design.